Balancing and destressing your life is about balance. And, as the old system of Chinese law Feng Shui counsels: life is much happier and balance when the flow of energy is “favorable.” That said, what does this mean for your Toronto home? When most think about the art of Feng Shui, they concentrate on the inside of the home. But, as we have learned in our decades of work in the home improvement industry, the outside of the home matters, too! 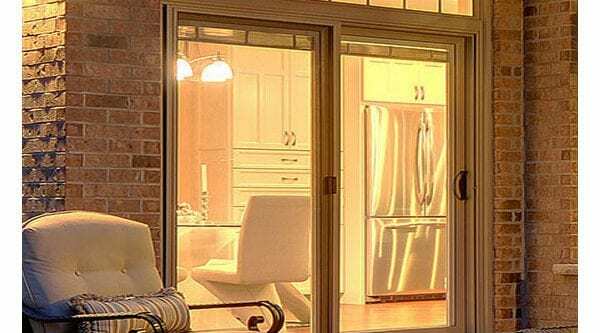 Here at Brock Doors and Windows, our professionals have collected a few pointers for you—check these out! Not only does a cluttered walk-up look uninviting and chaotic, according to Feng Shui, this clutter can also encourage negative energy to flow in through your entry door and throughout your home. In fact, it is said that clutter in any space will create unnecessary struggle and can restrict potential opportunities in your future. To attract good Chi (a positive life-force energy), you want fewer obstacles. For those of you who love flowers and lawn ornaments… choose a few of your favorites and discard the rest. For believers in Feng Shui, water fountains are an excellent way to attract positive Chi, abundance, and prosperity into the home. Who doesn’t want that? Broken objects like cracked flower pots on the front walkway or chipped stones or concrete are creators of negative energy. Also, the entryway should be well lit inside and out—this is said to clarify your future. You want to be sure everything is in good working order or negative energy will greet you and your guests each time they arrive at your entrance. A strong and decorated entry door in Toronto is essential to create the right balance for your home. This is the main door of your house—so, it should be strong, well built, and different in some way from the other entrances. The wider the space when it is opened, the more space there is for the good energy to flow into and throughout the home. Good Feng Shui includes vegetation on either side of your entry door. Flowers and other leafy green plants are known as fantastic diffusers of negative energy. But, be sure not to plant anything in your pots with sharp points and edges; these deflect positive energy. Keep them well-groomed and remove any dead leaves or blooms. Remember—nothing blocking the entrance! According to Feng Shui design, a poorly lit entryway can and will have a negative impact on your mood. Overhead lighting really is a must. But, if this isn’t possible, choose your favourite lamp and leave it lit all the time. You’ll be amazed at how welcomed you feel when you return home each day. 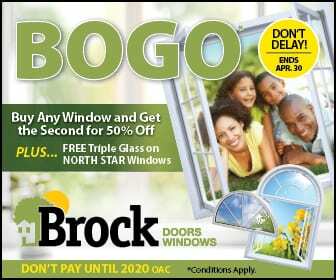 The team here at Brock Doors and Windows wants you to feel as stress-free and relaxed at home as possible! If we can help you make changes to your entryway with one of our doors—please give us a call!